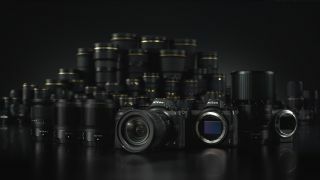 The big camera news of the year so far has been the arrival of Panasonic's new full-frame mirrorless cameras, the Panasonic Lumix S1 and Panasonic Lumix S1R, and Canon's advanced amateur full-frame mirrorless model, the Canon EOS RP. And while everyone is seemingly going full-frame, Olympus is still flying the flag for Micro Four Thirds with its new professional mode, the Olympus OM-D E-M1X. Even so, we think there's more to come… and there are plenty of juicy camera rumors. So what are we likely to see arrive in 2019? Which lines will manufacturers update? Here, we’ve collated the camera rumors that are most likely to come true and offered our own predictions as to what we may be seeing before long. And don't forget this year there was only one major photography show in the spring: The Photography Show 2019. This is because Photokina 2019 was meant to take place in Cologne, Germany, May 8-11 but this has now been cancelled. Canon stunned everyone with its announcement of its EOS R full-frame mirrorless camera, and zigged when everyone expected it to zag with its recent reveal of the EOS RP – an entry level camera, rather than the professional model everyone expected. It is clear that Canon is going all out to develop Canon RF lens roadmap, though, with the announcement of no fewer than six new RF-mount lenses coming in 2019 – five of which are professional-grade L series optics. Canon has also just entered the instant camera arena for the first time with its Ivy Cliq+ / Zoemini S and Ivy Cliq / Zoemini C models which are due to go on sale this spring. It has also brought us a new budget, miniature DSLR in the shape of the EOS 250D / EOS Rebel SL3 – which becomes the cheapest and smallest DSLR with 4K. So the question is, what will come next? "We are developing multiple EOS R cameras now," stated Canon's Yoshiyuki Mizoguchi earlier this year. "Have no doubt that a professional model is coming… We promise we are working on this but it might take some time to introduce." We can't wait to see this professional version of the R, which could well be called the EOS Rx, aimed at pro sports and action photographers looking for a mirrorless alternative to the EOS-1D X Mark II. We'd expect a modest pixel count of 20 or 24 megapixels, with a dual Digic 8 processor that could deliver a boast mode of around 20fps. But what about a high-resolution model to compete with the Nikon Z7 and Sony A7R III? Canon already has a 50.6-megapixel sensor waiting in the wings (waiting in the EOS 5DS, actually), so could this be adapted for use in a 50-megapixel EOS Rs? We have also seen some rumors that suggested that a 100MP EOS R is being worked on. The latest rumblings, however, are that we will see a new 70MP EOS R with IBIS, dual card slots and a joystick revealed by the end of 2019. By all accounts this is the much-ballyhooed pro version of Canon's R system, which would sit nicely alongside the entry level EOS RP and the mid-range EOS R.
With so much hype, investment and R&D dollars being spent on the new full-frame mirrorless system, where does that leave Canon's APS-C mirrorless line? Does the EOS R spell the end for the EOS M? The answer, according to the company, is a decisive 'no'. "The M series is here to stay," Canon's David Parry assured us. "The M series is an important part of our system, the reason being there’s no one camera that’s suitable for everyone, and it’s great to have different cameras at different sizes for different types of usage." Indeed, the Canon EOS M50 continues to be a massive seller for the company – especially in Japan, where it has virtually taken up residence in the Top 10 camera sales charts. We haven't heard any rumblings about new M series product, and Canon is certainly pumping a lot of money into establishing the R system, but it wouldn't surprise us to see something new on the APS-C mirrorless horizon this year. Canon has done a brilliant job to revamp its DSLR line from top to bottom over the past couple of years, from the new baby EOS 250D / Rebel SL3 through to the full-frame EOS 6D Mark II and EOS 5D Mark IV models. It's also recently released the entry-level EOS M100 and mid-range EOS M50 mirrorless model and bolstered its compact line with the PowerShot G1 X Mark III. So what might be next? One of the strongest rumors right now concerns the imminent arrival of the Canon EOS 7D Mark III DSLR. The existing EOS 7D Mark II is now over three years old, and it lacks many features that are now standard on similar models such as Wi-Fi, touchscreen control, 4K video recording and focus peaking. The fact that Nikon has two very well received alternatives in the D7500 and D500 makes it all the more vital that Canon updates its mid-range APS-C offering as soon as possible. Despite the fact that there is very little credible information on the specs of a forthcoming EOS 7D Mark III, the current EOS 7D Mark II is well due an update. This is highly likely to sport a sensor that employs Canon's Dual Pixel CMOS AF technology and, if it's to compete with the likes of Nikon's D500, it really ought to offer 4K video recording too. Another logical addition to the EOS DSLR line would be a replacement for the EOS-1D X Mark II, although there is no great demand for an update here just yet. It does, after all, offer a very respectable 14fps burst shooting option, together with 4K video and am excellent focusing system. That said, Nikon has been giving Canon heat over the past year or so with its excellent D5, so there's definitely room for something fresh. There's also the impetus of next years 2020 Olympic Games in Tokyo – an event with which Canon has significant sponsorship ties. If ever there were a time and a place to launch a new professional sports camera, it's on the company's home turf, at the biggest sporting event in the world, which Canon also just so happens to throw loads of money at. As such, rumors have surfaced that the Canon EOS-1D X Mark III is being field tested ahead of the Games, by a small number of engineers and photographers. We expect to hear more about this new model in anticipation of an official reveal next February. We are almost certain to see replacements for the Canon EOS 80D and EOS 77D enthusiast DSLRs in the next year. While some have accused Canon of playing it safe with its recent camera launches, the company revealed five concept cameras at CP+ 2019 that prove innovation is still at the heart of what it does. The Canon Soto Asobi is a customisable $100 outdoor camera, and the 100-400mm Canon Multifunctional Camera offers an easy way to enjoy telephoto shooting with smartphone integration. The Canon Intelligent Camera might be the device that sits next to the Echo in the corner of your room, with speech and gesture recognition for automated shooting. The Kids Mission Camera gives youngsters a camera that resembles their parents' DSLRs, but with modes like 'Cat Feeling' to encourage them to get shooting. And the Canon Free Viewpoint Video System is a fascinating virtual camera that enables you to move the camera anywhere around a sports field. What we think: This seems to be the year that Canon is going all guns blazing on its EOS R system. We now have an amateur and an advanced model of the camera, and we expect a pro model to be revealed before long – particularly with the lens roadmap being updated with so much pro-grade glass. Where this leaves the DSLR and particularly the M series line, however, isn't quite so clear.